This rectangular shaped dry fruit box is brown in color and is made of wooden material. This product is oxidized for making it look elegant. Read More..Orange and green colors are used to do the meenakari work. The upper lid is bordered with white color with green dots on it. 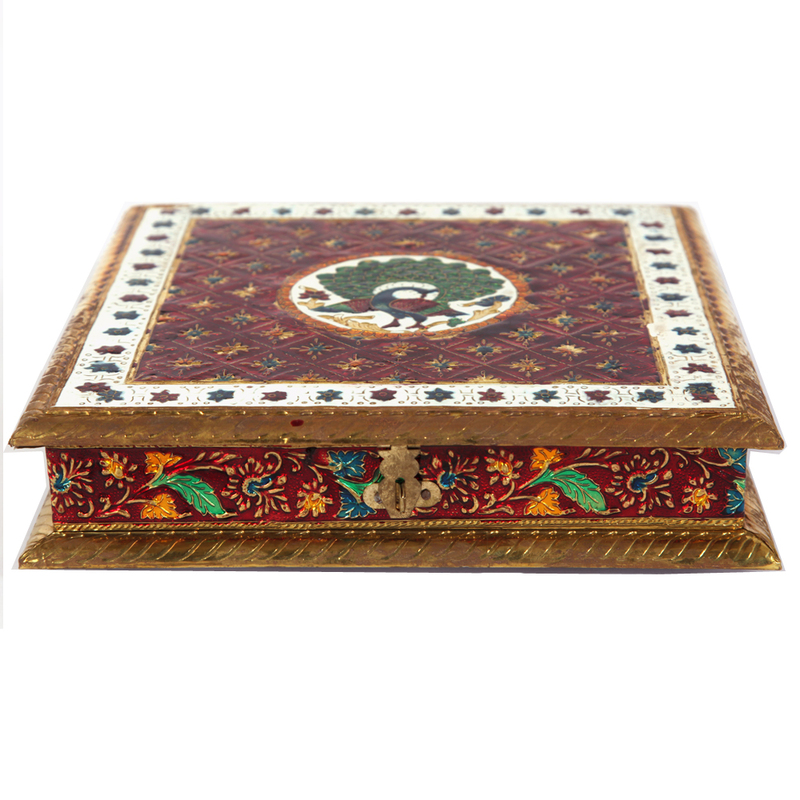 Flower petals of vibrant colors adorn the middle part of the box. On the top of the box, a beautiful circular design is made in the centre. Show Less..